Dominic Bliss chronicles the life of Ernő Egri Erbstein who was the manager of "Grande Torino", but also led an extraordinary life off of the pitch. "Thirty-one people lost their lives that evening when the flight carrying the players and management of Torino Football Club home from Lisbon crashed into the Superga hillside in thick fog. Among their number was the architect of the squad, a man who had filled the roles of coach and technical director over the previous decade. In English football parlance, he as the manager. During his time at the club, he had introduced modern training techniques, pioneered tactical innovations that were decades ahead of their time and proved that the football manager could be more than just a coach; that he could be warm, approachable and interested in his players' well-being off the pitch." 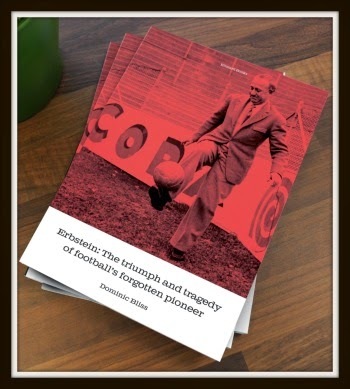 --- Dominic Bliss, author of "Erbstein: The Triumph and Tragedy of Football's Forgotten Pioneer", page 11, published by Blizzard Books with a list price of £10.00. Ernő Egri Erbstein: That exotic name is virtually unknown nowadays except to football historians. Il Grande Torino: That name needs very little introduction. Torino was a mystical team who tragically perished at the Superga Cathedral airplane crash after setting records that still stand in Italy. For example: Six seasons going undefeated at home. Torino also won the Serie A Scudetto five times on the trot which tied them with a Juventus side of the 1930s and was only broken in 2016-2017 by the modern Old Lady. 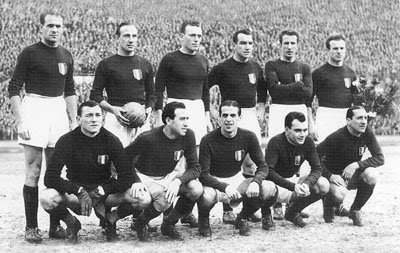 Torino also formed the nucleus of the Azzurri in the 1940s frequently comprising nine or ten players in the Italian Starting XI. Torino arguably was the first super club in world football who took their unique brand of football on tours of Europe and South America. Rare images of the last few games of Torino including the friendly versus Benfica. Dominic Bliss has written a magnificent story about a legendary, and sadly, often forgotten man who was the conductor of this magnificent Torino side. His story was as eclectic as his name: A Hungarian man of Jewish origin from Budapest who played and coached football in far-flung destinations, served in WWI as an army sergeant, worked as a stockbroker and textiles business owner, wrote game commentaries for newspapers, survived the Holocaust and etched his name into history due to his innovative methods and playing style at il Grande Torino. Egri Erbstein's achievements with this club were made all the more compelling due to his eight-year hiatus from Torino's bench during the World War II. Despite his absence, Erbstein's touch was keenly felt on all matters at Torino from tactical discussions to player acquisitions. Ties between him and Torino's president, Ferruccio Novo, were maintained clandestinely at great risk to both men. Let's take a look at this enlightening book's contents. There is a prologue, 17 chapters, a bibliography and one of the most detailed indices I have seen among recent reviews. If I could sum up the author's writing style in one word, it would be detailed. The author blends a scholarly approach with journalistic sensibilities that describe historic events in a style that is educational, engaging and informative. 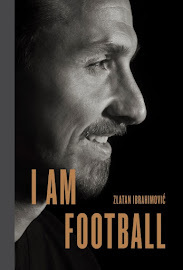 This book has a football theme yet Erbstein's life was also a social-cultural-historical case study due to his religious faith, Judaism, along with how Europe was reshaped by the two World Wars, respectively. The author included a variety of historic images from Erbstein's personal and professional lives. My favorite was one of Egri Erbstein and Valentino Mazzola, the legendary Torino captain, wearing a trench coat and business suit: The teacher and his prized student. "I still suffer from the fact that my father, at the top of his career, was deprived of the best of his life at the age of fifty." Susanna Egri quoted on page 11. "A taste for soccer is no longer a social error. The game has 'arrived.' Tickets are sold openly a spectators at the games often give their right names when questioned. In time a seat at a soccer game may even represent a certain amount of social distinction." John Kieran of the NY Times in 1927 quoted on page 58. "In New York... some of the teams were composed of British professionals who already practiced the W-system in its original form --- orthodox, perhaps how the late Chapman created and wanted it. The tactic was certainly successful. Let's imagine it: a creative team constructs a brilliant move, while the other suffers continual pressure, defends, then suddenly lunges forward --- a run, a pass, and a goal. It was crazy!" "I was one of the first to study and to practise it when, even in continental Europe, there was no literature on the subject." Egri Erbstein describing the W-M style used by American teams during his tour with the Macabbis on pages 66 and 68. "Back in 1931, when Taranto were on their way to Sardinia, Ernesto's idea was far from being a tiresome routine, it was downright revolutionary --- an ultra professional way to prepare and focus his squad ahead of a big game." Page 104 quoting Erbstein's use of the ritiro for his Cagliari team. An interview with Torino's Sauro Tomà who did not fly to Portugal on that fateful day in May 1949. "I have kept this sorrow always on the inside." "Beyond good technique, that Torino squad was underpinned by ardour, enthusiasm, espirt de corps. But above all they had a mode of play that was avant garde; a style of play like the Dutch now --- ahead of its time. As long ago as that, he exploited the wide areas, making use of every corner on the pitch --- we were playing some sort of total football." 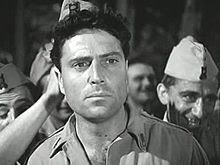 Raf Vallone quoted on page 167 comparing Torino to the Dutch in the 1970s. "Having withdrawn all of his money, he used it to buy diamonds, which he sewed into the lining of his clothing. One morning, the extortionist (a guard in Kleve, Germany) guard sitting beneath the yellow Star of David looked up to see a middle-aged man pressing one of those diamonds into his palm. In exchange for this handsome reward, he was asked to turn away from the phone booth further up the street for five minutes, while Erbstein made a desperate call to his boss, Ferruccio Novo (of Torino)... His actions that day had saved his family's lives." Pages 175 and 176. Note: The English W-M was called the "sistema" in Italian football circles. "When we first went there, my father had an interpreter because he couldn't speak Italian. Which is not surprising, but it was not helped by the fact he thought speaking Italian consisted of sticking an 'o' at the end of everything! We were all sent, by the club, to the Berlitz School to learn Italian." Bill Lievesley quoted on page 285 about his father. "What has happened seems impossible. I was tied to the players of Torino by a bond of sporting friendship that I will never forget. I understand very well the pain of Italian football and, in particular, that of Torino." Sir Stanley Matthews quoted on page 314. Dominic Bliss (@theinsidelefty) is the editor of The Inside Left and also contributor at The Blizzard and other football publications. This is his first book. I have received a complimentary review copy from a representative of the publisher, Blizzard Books. I was not compensated by the author, publisher or any party who would benefit from a positive analysis. Steve Amoia is a freelance writer and translator based in Washington, D.C. He is the publisher of World Football Commentaries since 2006 and published The Soccer Translator from 2008 to 2015.